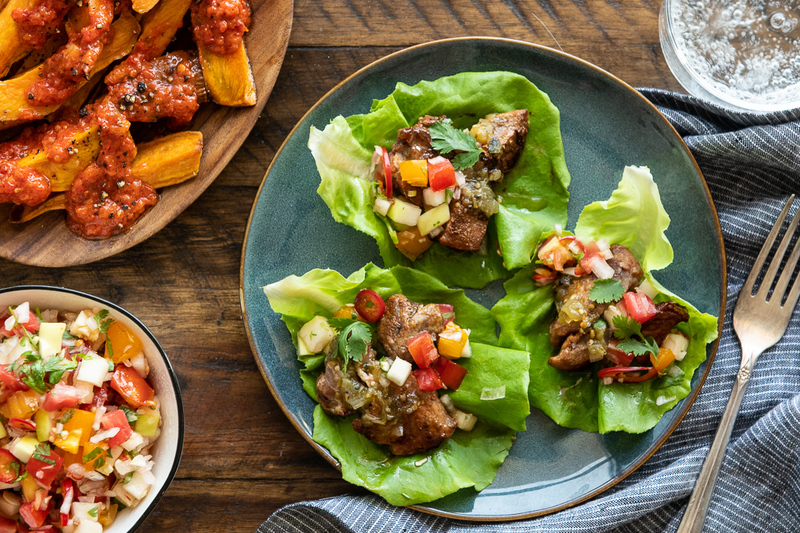 Low and slow Mexican green chile pork is wrapped in crunchy fresh lettuce cups and topped with zesty pico de gallo. Roasted sweet potatoes are served on the side with a fresno pepper vinaigrette. Juicy lamb burgers are topped with tomato, mixed lettuce, and crunchy cucumber – all tied together by an aromatic, house-made Basil Aioli. 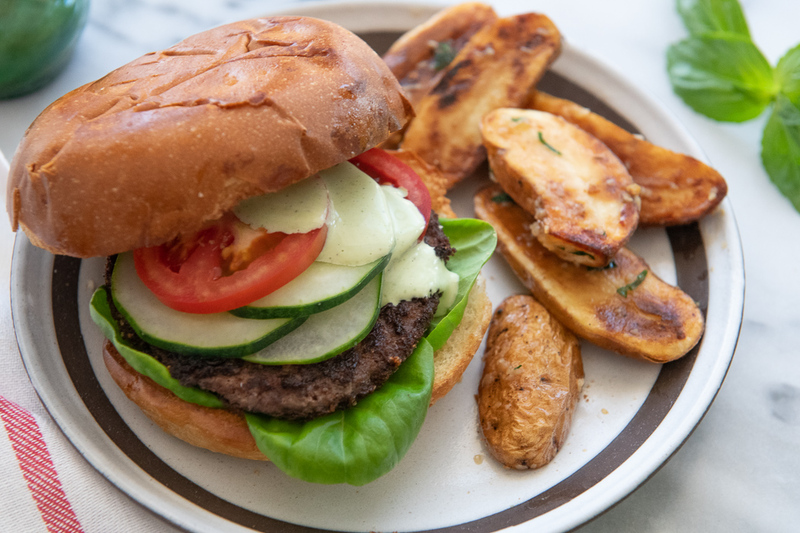 Providing the perfect bistro burger side is a pile of roasted garlicky potatoes. 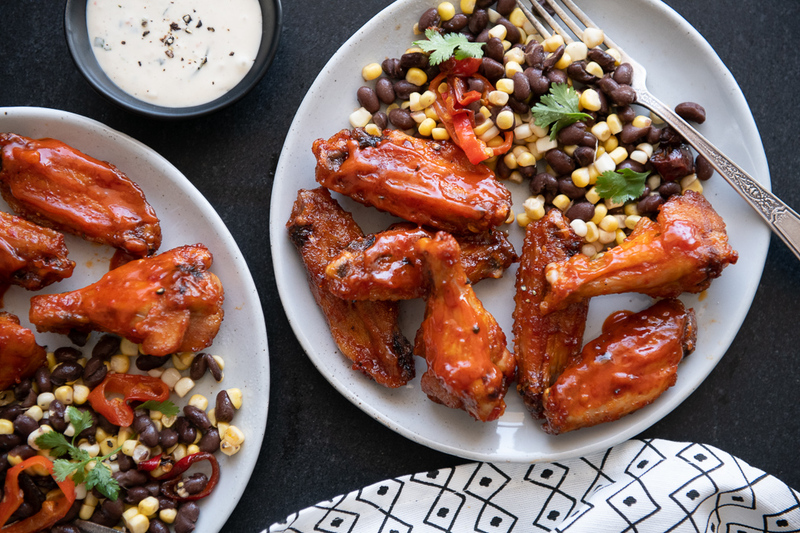 Sweet meets spicy when house-made sriracha and peach puree combine for the perfect wing sauce. Dip in a homemade buttermilk ranch dressing to cool it down and enjoy a marinated black bean salad with corn and sweet peppers on the side. The easiest way to get anyone to eat their veggies? 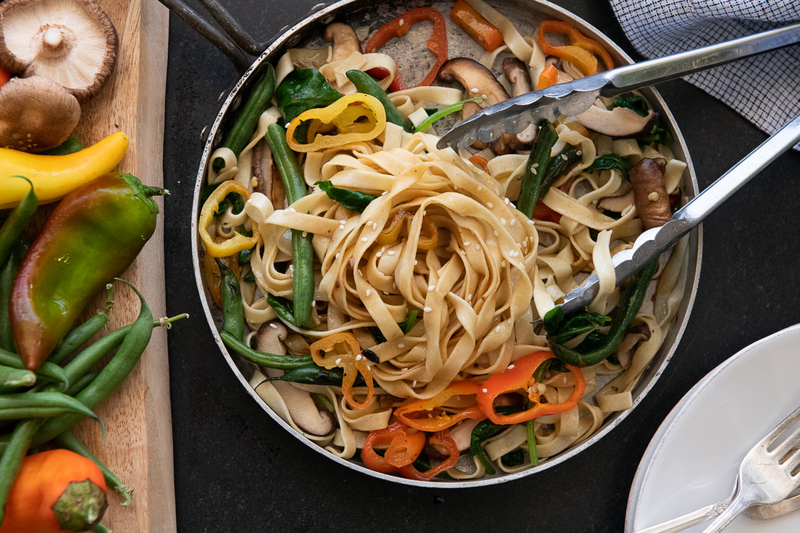 Stir fry them with plenty of Farmhouse Kitchen Sesame-Garlic Stir Fry Sauce, and Della Casa Pasta’s perfect fettuccine noodles.